People on here have been trying to help me with my problems. Do you think they will always strive to do so? 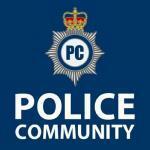 How can I donate and help the uk police forces? Do you get reminded that carrying weapons in self defence is not acceptable off duty as part of your police training? The reason why I ask because when we are fearful or scared of an attack we often break the law. Are police reminded not to break the law off duty during courses offered at the police college? Especially in police training in police colleges, Such as the police college at bramhill. arming yourself off duty is unacceptable. If at a meeting the chief constables said “This is what we believe and is our viewpoint on the matter”. This was agreed on at the meeting. Does this mean the viewpoint is shared with people of other police ranks lower than chief constables prior to the meeting ? Sorry, for being vague. Was it necessary to bring smaller police forces into larger forces? Did it make police forces more efficient? People write books about these things but sometimes they leave parts out because they have an agenda. Some people do this deliberately. Does it make you angry that people only tell part of a story? If people would tell the whole story, not just rubbish, people like you would not have to correct them and clean up the mess. If criminal responsibility in England and Wales is 10 years of age. What do we do with children under 10, who have committed a crime? What about the cruelty to children category? Looking at the number concerns raised around the quality/quantity of PST I start to wonder what is actually being delivered by different forces. Within the cathedral constabularies we receive two full days annually of PST, which generally covers unarmed techniques, rigid handcuffs and tactical baton training. Although these are repeated on every occasion they occasionally include cell/vehicle extraction (not that we have any), leg restraints etc. We do not have PAVA so don't cover this. We also have a written knowledge check test which must be passed along with competency assessment. We receive separate first aid training so this does not form part of PST. From some Home Office force colleagues I have spoken to it appears some officers only get one day annual refresher and in one force this includes first aid. Now the quality of instruction we receive is excellent, however, I think two days annually is insufficient, never mind one. I just wondered what the picture was nationally, and if officers are receiving only one day training annually isn't it any wonder injuries to officers are sky high. I know some posters are PST instructors so I would particularly welcome hearing from them. Hi everyone, i recently completed my senior interview with Essex Police and was succesful. They are currently trying to get me onto an intake on the 7th of May, providing my personal and business references all check out. I am moving to a different county for work (from Cornwall, all the way to Essex). I am wondering whether any help is provided to trainee's in that regard? I have heard that some forces provide accomodation to training PC's, and perhaps other staff, but am not sure if this is still a thing. If not, I am confused as to how the system works, since Essex is a large county, if i locate and rent accomodation in Chelmsford (where the college is located), i might be in a tough position when allocated a locality for working day-to-day. Any help greatly appreciated! I had an argument with a shop keeper today becusdr they refused to refund a product that was clearly right for a refund. The shop staff said to me when I was walking out they are calling police to issue Pins harrasment notice. Can arguing about a refund really be harrasment to someone. Viral video footage showing a man "being restrained" in a room by officers is being investigated by a police force https://www.birminghammail.co.uk/news/midlands-news/west-midlands-police-release-statement-15952336 This video has gone viral over the weekend however some comments online that it may have been staged or is a fake despite West Midlands police saying it involves their officers. Interesting to see what outcome their is. Famous & Fighting Crime will give well-known rookies the chance to see what it’s really like on the beay, including football matches and busy Saturday nights https://www.mirror.co.uk/tv/tv-news/new-channel-4-show-features-11857556 I can't believe it. Who on earth authorised this? I'm not sure what to make of this... Who would have locked him up? had any laws been broken? Who would just ask him to walk away? A Cleveland officer has reported how staff shortages and working alone has left him with PTSD after tackling a person armed with a knife. https://www.bbc.co.uk/news/amp/uk-47212662 I think he is only the tip of the iceberg.